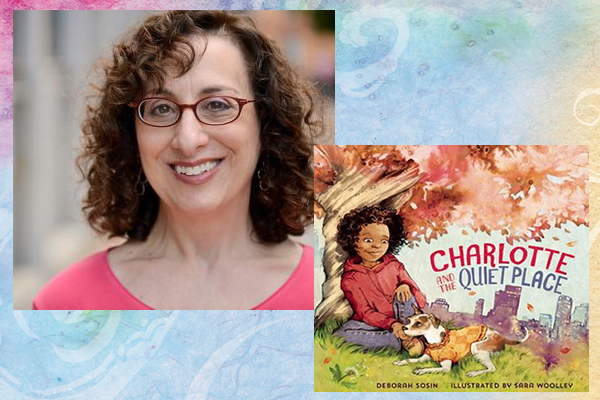 Multitalented author Deborah Sosin will give a presentation and read from her latest book, Charlotte and the Quiet Place. Deborah will also conduct some fun, interactive mindfulness exercises, answering audience questions and signing books. Deborah Sosin, LICSW, MFA, is a writer and clinical social worker specializing in mindfulness. A native of Rye, New York, Debbie lived in Munich, Germany, as a teenager, then graduated from White Plains High School and the University of Michigan. Her essays have appeared in the Boston Globe Magazine, The Writer’s Chronicle, the Chicken Soup for the Soul series, on Salon, and in numerous other publications. Debbie has worked with children in various capacities—as a therapist, Montessori educator, and volunteer with the Newton (Mass.) Child Assault Prevention Program. Since 2011, she has served as managing editor of the Lahey Health Journal of Medical Ethics. Debbie teaches at GrubStreet in Boston and offers "Write It Like It Is" groups, writing coaching, and editorial consultation. She earned her MFA from Lesley University and MSW from Smith College School for Social Work and is a member of SCBWI and NASW. A longtime meditator, Debbie holds an advanced certificate from the Institute for Meditation and Psychotherapy. She lives with her two very quiet cats outside of Boston, Massachusetts. This is her first book. For more information, please visit her website at: www.charlotteandthequietplace.com/.